Elision Billing is a complete solution for any telecoms company wanting to provide residential, business and wholesale voice over IP, calling card services, call-back and DID (telephone number) resale. 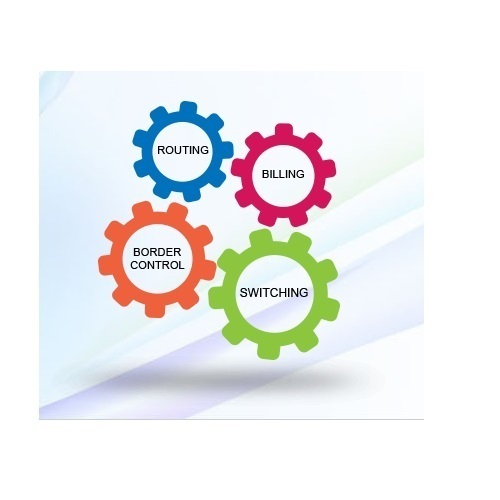 Elision billing supports origination and termination using a variety of technologies such as VoIP, PSTN (PRI, BRI and analogue circuits) and GSM gateways. Elision billing has a number of payment methods including online payment processors including Paypal, as well as manual payment and top-ups using vouchers via an IVR or the customer’s portal with full accounting and reporting. Elision billing supports commission agents allowing online signup and affiliate marketing, as well automated signup via a simple telephone call providing easy customer acquisition. The architecture of Elision billing consists of a database server, Asterisk telephony server and a web-server for administration, agent, customer and online sign-up. Usually these servers are hosted on the same physical hardware, but can be distributed across multiple servers to increase the capacity. A SIP proxy kamalio is added to load balance calls across multiple Asterisk servers and assist with NAT traversal. There are three main customer types for Voice over IP billing & charging options in Elision Billing solution. Residential VoIP – Providing VoIP services, VoIP Billing and DID redirection to the general public. The endpoint is usually a PC-Dialler (or softphone) a physical VoIP phone or ATA. Business VoIP – Providing VoIP termination to IP-PBX systems for companies, billing the calls, as well as providing invoices for VoIP services as well as supplying DID directed to the IP-PBX via VoIP or PSTN. Wholesale VoIP – Terminating and billing large numbers of calls from a customer who has an Soft switch or similar class 4 or class 5 switch. Feature All of the Elision Billing Systems have the following features. It support SIP/IAX protocol with flexible authentication methods like user/pwd & ip based with customer caller id manipulation. It also supports codecs like g729, ulaw, alaw, ilbc, gsm etc. It also support telco lines like Analog, PRI, BRI, GSM with failover trunk. It feature allows pin/caller id authentication for callback system. It also provides flexible IVR, balance IVR, rate for destination, time available for destination with multi-language support. This feature provides detail cdr of entire incoming/outgoing calls with margin per call. It also provides reports as per trunk, profit/loss, daily/monthly traffic & calls by user & by destination. Established in 2007, Elision Technolab LLP is engaged in service providing of IT Solution, Open Source Service, etc.